Most of us would be pretty happy to make microlearning that changes behavior available on demand, in an artificial intelligence–driven, individualized system. Not so easy. Most of us have seen training programs and learning experiences fail to systematically create the lasting behavior change that produces real business results. Unless we can understand how learning actually changes behavior, though, it’s difficult to organize content to be relevant enough to drive behavior change. When we don’t see behavior change as a result of learning, we don’t see business results either. Talent development practitioners may turn to science to help solve this problem. And the science is pretty complex—that’s part of the problem. Even as a trained psychologist, I have personally found it challenging to systematically apply behavioral science to increase the effectiveness of the learning experiences I’m responsible for. That’s why I’ve tried to simplify it. I’ve looked at a lot of science, done a lot of in-depth research—and managed to develop a simple concept called RAMP to simplify the science of learning. RAMP allows me to drive change more effectively. R is for Results. Learning at work always focuses on how intentional action leads to specific results. Science shows us that the results we aim for provide the emotional connection that is the reason for new behavior. We need to ask ourselves how our learning experiences help people conclude that the result they are being asked to aim for is really worthwhile. A is for Action. Action is the visible behavior that leads to our results. Action at work is always the visible manifestation of intentional problem-solving. When we see action, we are observing an effort to solve a particular problem, to achieve a result. Meaningful learning always involves acquiring, practicing, and perfecting new problem-solving strategies. Unless our learning helps people take the correct action, we fail to enable them to get the results they want. We must remember to ask how our learning experiences help people to develop more expert problem-solving strategies, starting with understanding the true nature of the problem. M is for Mindset. Mindset can be defined as “a mental attitude or disposition that predetermines a person's responses to and interpretations of situations” (Mindset.com). There are three distinct elements to the mindsets of people who learn successfully and go on to achieve better results. First, they have a clear intention to achieve a new result. Second, successful learners believe that they are able to learn and grow to acquire the problem-solving strategies that they need to achieve the result. Third, they are resilient—they persevere when they encounter the inevitable failures that accompany new learning. We need to ask how our learning experiences are geared to shape mindsets. It’s important to appreciate that there is a cyclical and self-reinforcing relationship between these four RAMP factors. As we achieve small successes (results) through effective behaviors (actions), we enrich our insights and develop our mental representations (paradigms), in turn reinforcing our mindsets; and as we do, we acquire further nuances that increase the effectiveness of our action—and so on. Nothing succeeds like success. As talent development professionals, we must ask how the cycles of success can be structured, monitored, and managed to start small and build into the big changes and massive results. Many training offerings don’t cover all the bases. We know training is not necessarily enough to bring about behavior change—it’s more effective to RAMP training up by explicitly working with each of the elements. I’ve seen personally through observation—and in large samples of hard data—how, when we ask these RAMP questions with care and insight and craft learning accordingly, it becomes far easier for us to craft massively impactful learning experiences. 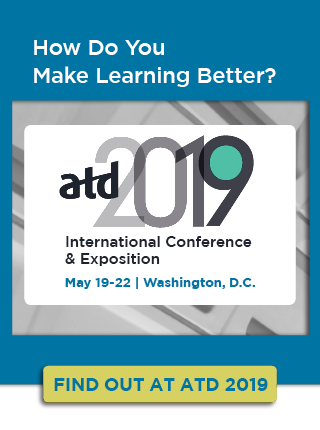 To learn more, join me at the ATD 2018 International Conference & Expo for the session: RAMP! Build Behavioral Change Through Learning. Derek Shirley is chief executive of Cornerstone Performance Solutions. In his early career, Derek worked as a clinical psychologist, earned a PhD in psychology, and reached senior management in a blue-chip bank. In 2000 Derek co-founded a learning consultancy, focusing on building the capability in the financial industry to execute on strategy by developing and shaping people's behaviour. This business is based in Johannesburg, South Africa, and it has grown consistently over 17 years. The company currently services a range of international banks in 14 countries on the African continent. The backbone of the success of the business has been its learning methodology. Using his background as a therapist and his insight into behaviour change, Derek has been able to build a systematic, behavioural science-based approach to behaviour change through learning. The approach integrates several schools of psychology and has repeatedly been applied and demonstrated significant business impact under objective analysis. Derek is a regular guest at industry conferences.